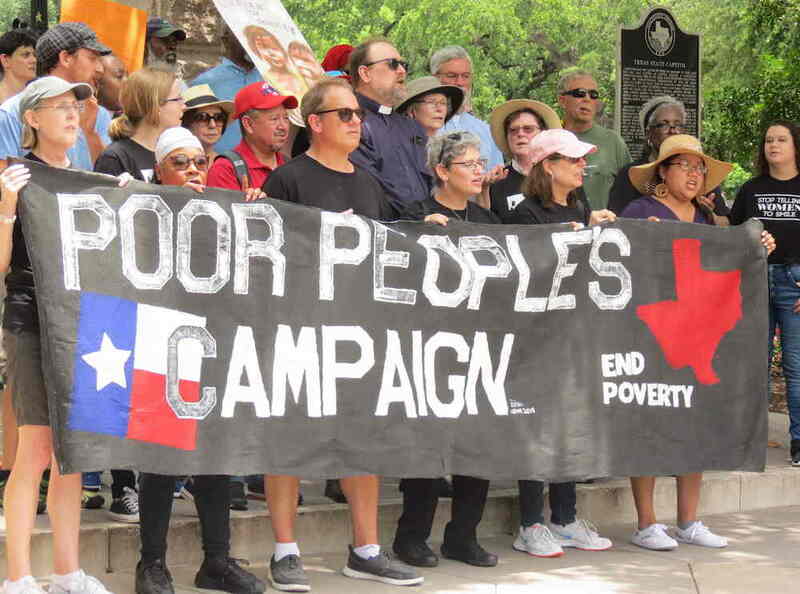 AUSTIN — On Monday, May 14, 2018, Texas was one of over 30 states to participate in the launch of the Poor People’s Campaign: A National Call for a Moral Revival. 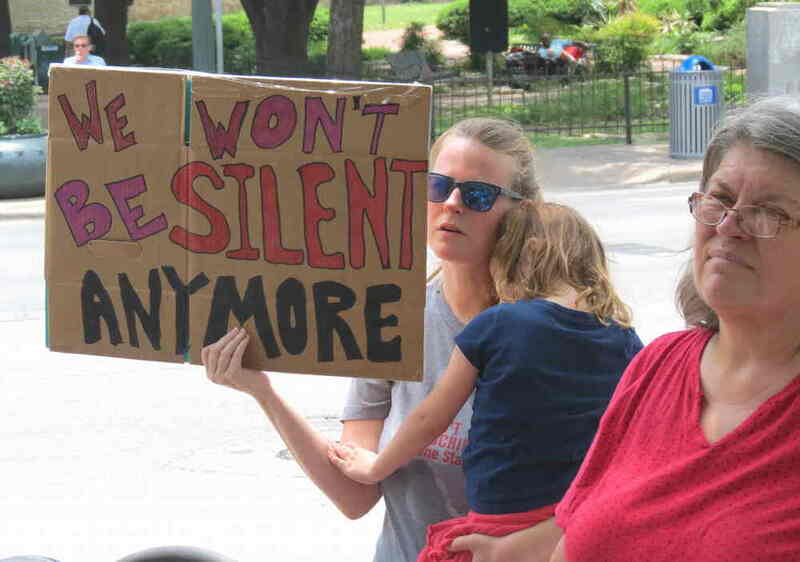 More than 60 people gathered at the Texas State Capitol in solidarity with women, children, and disabled people living in poverty, including two busloads from Dallas. 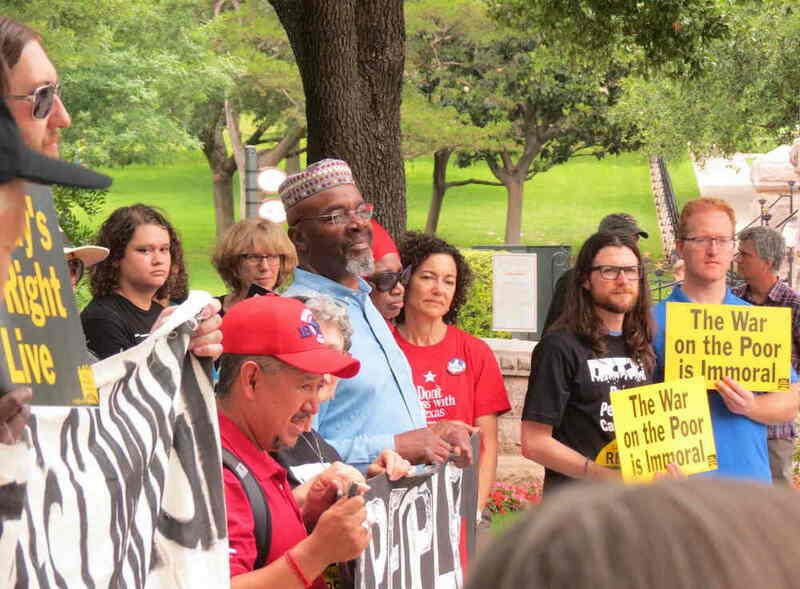 Also in attendance were individuals from San Antonio, Houston, Pasadena, and Waco. 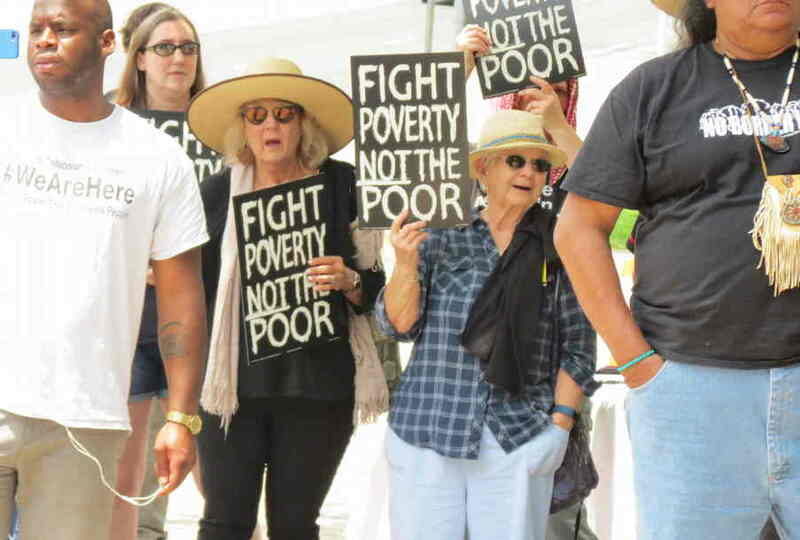 The spirit of Dr. King resonated as faith leaders, community organizers, and concerned citizens came together to publicize and challenge the war on the poor. Songs of freedom filled the air as people approached the rally, including, “We Shall Not Be Moved,” a famous anthem from the Civil Rights era. In between songs, testimonies were given by impacted persons, including two people experiencing homelessness, two community activists, and a representative of the Carrizo/Comerudo Tribe. 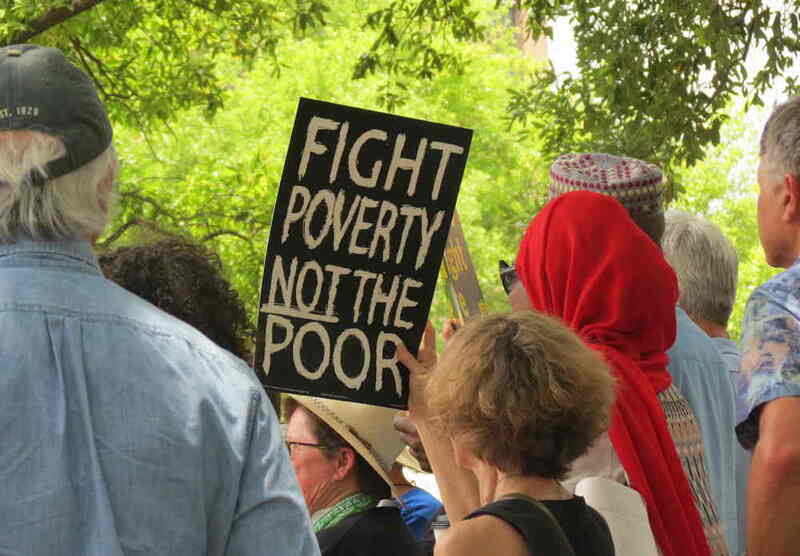 The crowd stood behind these individuals in solidarity, listening closely to the stories of people living in poverty just like us. 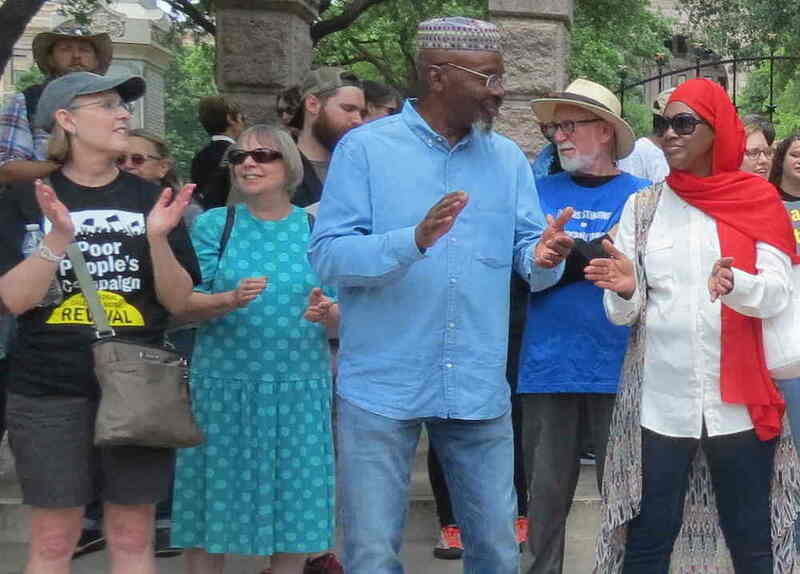 The state-wide campaign, which only came to Texas a couple of months ago, is in the process of planning for its next action on June 4, 2018. The theme of the week will be “Ecological Devastation and Health Justice.” This time, even more caravans are expected to come, including people from the Rio Grande Valley. The Texas movement is just getting started. This entry was posted in Metro and tagged Martha Mercado, Metro Bloggers, Poor Peoples Campaign, Poverty, Rag Bloggers, Roger Baker, Social Activism. Bookmark the permalink.